When I think of summer, the first thing that comes to mind is weekends at the lake. I feel like I practically live at my best friends’ lake house in the summer! I can’t think of a better way to enjoy the freedom and weather that summer brings. The real beauty in heading out to the lake every Friday afternoon is totally cutting yourself off from technology (except for the late night movie we occasionally watch, of course!) It is pretty much impossible to get phone service there, and while that used to be the end of the world to me and my friends, I’ve definitely grown to love and appreciate the time off from being constantly glued to a screen 24/7. It is incredibly refreshing sitting around a fire with my best friends and catching up with each other without the constant interruption of phones vibrating, or people having to repeat something they said because no one was listening! Plus, each time I visit the lake I feel like I’m a little kid again, constantly playing outside, swimming in the lake with noodles, or having tube wars with each other in the sun all day long. But being at the lake doesn’t mean I have to abandon all of my grown up tendencies, like the perfectly preppy lake wardrobe! 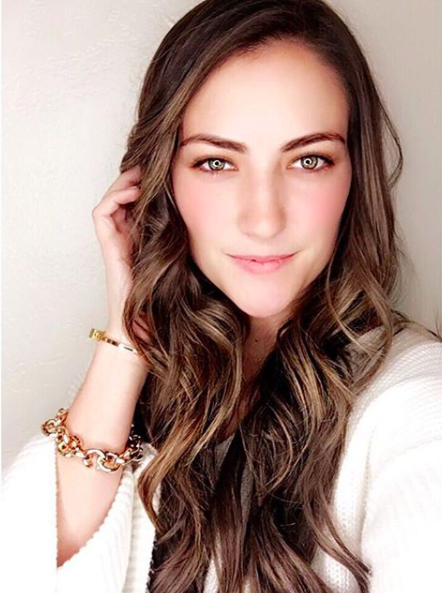 Don’t get me wrong here – the lake is definitely the place where things like makeup and attractive hair get abandoned…but I’ve still managed to find some prep essentials for these weekly lake trips that I think you will all love! So what am I packing for yet another perfect weekend spent at the lake with friends? Here it is! 1. Monogrammed Hat! (My little and I got these matching hats from a little store in Louisville called ‘Sew Unique’ but you can find a bunch on Etsy too! 3. Vineyard Vines Koozie. Enough said. 5. Monogrammed Seafoam PFG with coral embroidery! (My little and I got these matching too! Yes, we are one of those big/little relationships and I’m not even sorry about it!) This is a must-have for the lake – its the perfect length for a coverup and provides protection from the sun when you need it! 7. Vineyard Vines Croakie. I collect these things like candy at the Vineyard Vines booth at the Derby every year! 8. Monogrammed Polarized Wayfarer Sunglasses from Marley Lilly. I bought these a couple months ago during a flash sale and they might be my favorite purchase of all time – I am totally obsessed! 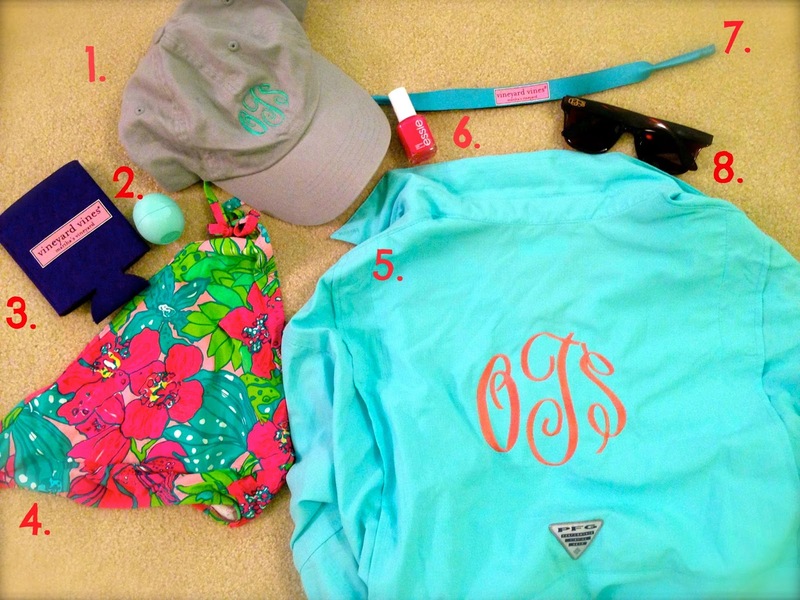 And there you have it, the perfectly preppy and simple packing list for a sun-filled weekend at the lake! Where did you get the Monogrammed Seafoam PFG? It's perfect!